If you've been holding off on picking up next year's Xbox Live Gold membership, you may want to check out today's Amazon sale. 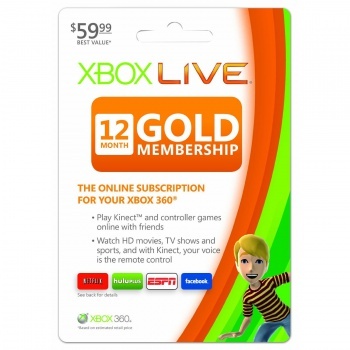 An Xbox Live Gold membership certainly can give you access to a lot of content, but a year's subscription isn't the cheapest thing in the world. However, if you've been meaning to pick up said membership then you should head over to Amazon today. The site's marked Gold Subscription Cards down by 33%. They normally sell for $59.99, but they're going for $39.99 today. This is actually a really solid deal, since you can buy a couple of these at the same time. I did this a while ago and am set through 2014. Amazon's been showing gamers some serious love this week. On Monday, the store severely discounted its Dragon Age Pack.